Since 1997 Zach has taught aspiring golfers of all levels and ages — from 4-year-old beginners to professionals with over twenty years’ experience. His students have included nationally-ranked juniors, touring pros, celebrities, and CEOs. Zach’s goal is always the same: equipping students with a basic understanding of their golf swings, so they become their own, best teachers. 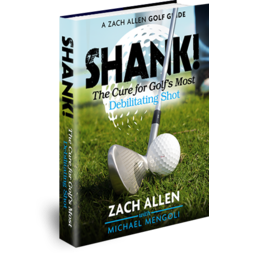 Zach Allen is a PGA-certified golf instructor. 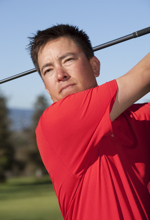 He was voted the Southern California PGA’s Teacher of the Year. Golf Digest recognized Zach as one of the Best Young Teachers in America. And GolfTips Magazine named him a Top 25 Golf Instructor. Zach’s golf odyssey began inauspiciously, with a 144 at San Clemente Municipal Golf Course. He subsequently climbed the junior golf rankings, ultimately reaching 3rd in California — just behind another promising, young golfer named Tiger Woods. In high school, Zach was twice voted First Team All County, repeated as champion of the Pacific Coast League, and led his team to a California state title in 1993. He also won over 40 SCPGA and AJGA tournaments. His junior golf record earned him a scholarship to the University of Southern California. During Zach’s tenure at USC, the Trojans ascended the Division I golf standings — moving from 30th to 3rd. After graduating from USC with a degree in International Relations, Zach successfully qualified for the Omega Asian Tour. He also competed on various mini tours — including the Golden State Tour — and PGA section events around the country. Zach has experienced every level and type of golf — from junior to professional, from casual to competitive. This diverse experience translates to an innate understanding of the goals and needs of aspiring golfers. Zach’s instruction incorporates state-of-the-art video analysis software, cutting-edge training aids, and on-course playing lessons. FlightScope Launch monitor technology, which tracks 27 different ball and club parameters, BodiTrak pressure plate technology to help golfers utilize proper ground force patterns, and Neuro Feedback from the focus band to help students discover their best state of mind for optimal performance. He is equally adept at teaching different learning styles — from visual to kinesthetic players, from feel to analytical students. Zach works with students to develop achievable goals in all facets of their full swing, short game, putting, course management, mental skills, and competitive readiness. 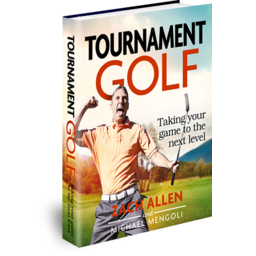 The results are lower scores, understanding the golf swing through accurate ball-flight analysis, and increased confidence to play golf with anyone in any situation.